A fantastic stud male, big bone, great head and topline. 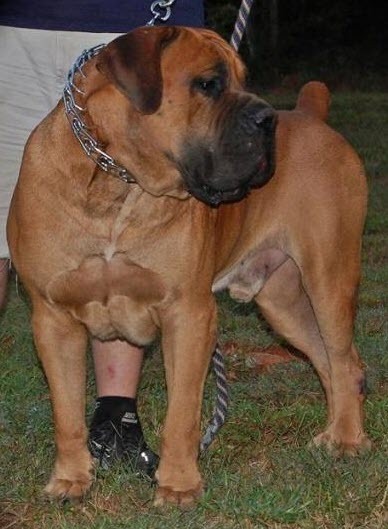 One of the few long lived boerboels, he lived to nearly 14yo. Produces good sized dogs and great temperaments.